The covers to these books are absolutely gorgeous! I haven’t had the chance to read any of them yet, but I did buy the first book in the series a while back after reading your review for it. Awesome review for this one, too! Kelly @ Here’s to Happy Endings recently posted…Blog Tour: A Psalm For Lost Girls by Katie Bayerl – Author Q &A and Giveaway! They’re so much fun! I hope you enjoy ’em when you do get chance to read them. I found them all fun, especially when I reread the first two! They’re just so… I don’t know what the word I want is. They’re great romps. Why do we have to wait until November for book 4?! 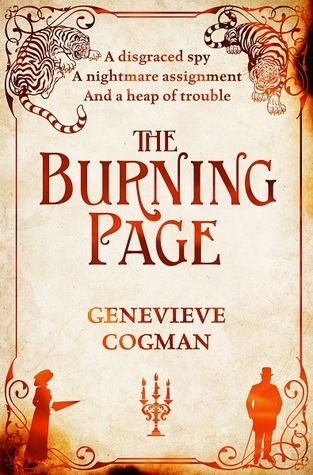 Although, honestly, I loved how The Burning Page ended and if there wasn’t another book I would probably be perfectly fine. For me, there’s a bunch of stuff I still want to know! Like Irene’s parents, and what happens to the Library now.